Posted June 22nd, 2017 by golfvi & filed under Golf Vacations, Tales from the Trail. Summertime, and the living is easy… Especially on Vancouver Island. The temperatures are warm but mild, the golf courses are in peak condition, the views are crystal clear, and the good times to be had – on and off the golf course – well, they are plentiful. As you will discover when you hear our tale of the many Vancouver Island trails. Say ‘trails’ and most people immediately think hiking trails. Posted May 9th, 2017 by golfvi & filed under Golf News, Tales from the Trail, Vancouver Island Golf Trail Blog. A Trail of Countless Delights! Trail Blazing: Great Canadian Golf Getaways. Golf Just the Jump-Off Into the Island Lifestyle. Vancouver Island Boast Vibrant Golf Scene. This is what the press is saying about the Vancouver Island Golf Trail… With six big media stories about the Vancouver Island Golf Trail in the last month alone – from The Province, AMAInsider. 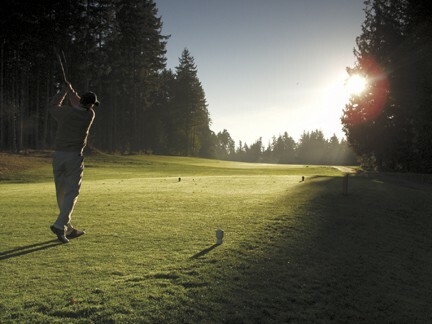 You could be forgiven for thinking that on the Vancouver Island Golf Trail it’s all about golf, all of the time. While that is true 90% of the time, given the magnificence of Vancouver Island, we’d be fools to ignore its many, many other charms. So we’re here to change your thinking and give you a unique way to explore Vancouver Island. Posted May 18th, 2016 by golfvi & filed under Golf Courses, Golf Vacations. Father’s Day is fast approaching. (Ahem – it’s June 19th, for those of you who need reminding; you know who you are!) Fortunately, for those of us whose dads play golf, gift ideas are stress-free and plentiful. The saying “Thanks for making it so easy to get you a Father’s Day gift due to your psychotic love of golf” isn’t a Father’s Day card favourite for nothing! This is even truer on the Vancouver Island Golf Trail. Posted December 13th, 2015 by golfvi & filed under Golf Courses, Golf News, Golf Tips. Stop. Take the golf tees out your shopping cart. Now back away. We’ve got 5 great golf gift ideas for you instead. Because your golf-loving partner/parent/best friend does not need to find yet another bag of novelty tees/sleeve of golf balls/branded glove in his or her stocking this Christmas. Instead, show them how much thought you (ahem – we) put into their gift this year and stick one of these fabulous golf gifts from the Vancouver Island Golf Trail under the tree. Posted May 5th, 2015 by golfvi & filed under Vancouver Island Golf Trail Blog. That’s the recommendation from Golf Today Northwest in the May 2015 Issue. Author Gayle Moss explores the Vancouver Island Golf Trail and the 11 golf courses situated from Campbell River in the North to Victoria in the South. Given the buying power of the strong US dollar, there has never been a better time to take a golf vacation to Vancouver Island, where as the author puts it “You could plan a 4-day golf trip for the price of 3”. Posted June 9th, 2014 by Mr. Ballhead & filed under Vancouver Island Golf Trail Blog. When planning your golf trip, finding the right courses to play or the best place to stay can sometimes be the easiest items to check off your list, especially when you can get all items in one simple quote. But what do you do when you’re not playing one of the award winning golf courses? Why you look to find Vancouver Island events that will fill your off-course time with great food, entertaining music and enjoying summer with other fun people. Posted May 6th, 2014 by Mr. Ballhead & filed under Vancouver Island Golf Trail Blog. Vancouver Island has long been known as a great destination for golf and with the mild climate, beautiful scenery and some great attractions, a top destination for RV travellers as well. RVwest Magazine readers recently voted on their favourite destinations in Western Canada and the US with their readers choice awards, and we are proud to share that a number of Vancouver Island locations made the top of the list.